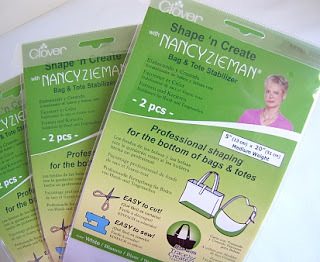 Shape 'n Create is another awesome product from the Nancy Zieman range for Clover. 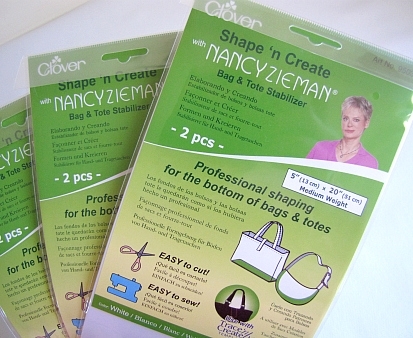 This white stabilizer base is perfect for adding shape to bag and totes. It's easy to cut and easy to sew. The pack comes in 2 pieces, each 13cm x 51cm. This is a much better alternative to template plastic. Available now in The Haby Goddess online store.